Call him what you want, but it's no question that Kevin Durant is a straight up savage. ​As a guest on CJ McCollum's podcast, Durant made some comments that, at the very least, sure got him laughing. The question surrounding competition in the Western Conference arose while the two stars were talking, and Durant was ​discussing roster strength with McCollum. CJ ​seemed to be upset about how overpowering the Warriors are. ​​"I mean, you guys know that you aren't going to win a championship," Durant said to McCollum. When McCollum started to respond, Durant burst out laughing. In addition, the Warriors forward stated that the Blazers guard "can't be upset" about the Warriors getting better and better, and that McCollum should instead "just keep playing" basketball. 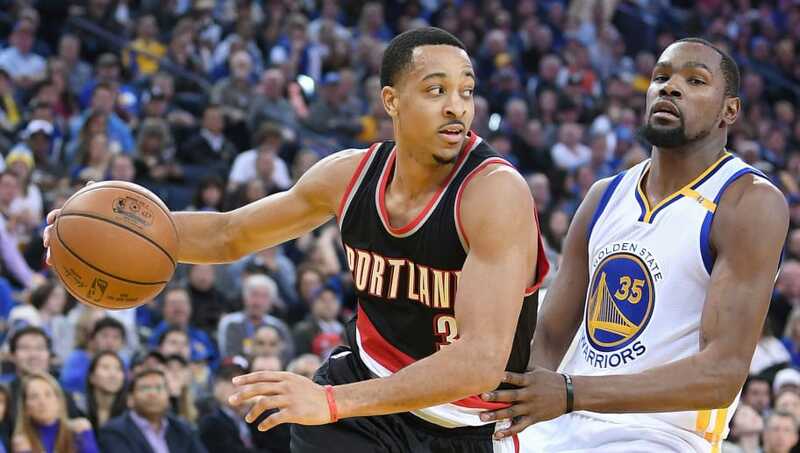 While the Trail Blazers' championship odds pale in comparison to Golden State's, you can't blame McCollum for having an "anything is possible" type of attitude. In the Warriors' NBA, McCollum must have some hope. However, next year's championship is very clearly the Warriors' to lose.